We are a team of people with different backgrounds and talents who are passionately pursuing the presence of God in our families, our friendships, our ministries, and our worship. Jacob is a Methodist born and bred. He graduated from University of Connecticut with a Bachelor of Arts in History and Psychology in 2012, Drew Theological School with a Master of Divinity in 2015, and Princeton Theological Seminary with a Master of Theology with a concentration in New Testament in 2016. Along the way, Pastor Jacob served children’s, youth, and young adult ministries. He is passionate about sharing the Good News of Jesus Christ and desiring to grow together in every way into Christ. It is his sincere prayer to channel the love and grace of God through his life and ministry onto others. It is a privilege to be part of the FUMC staff; working as a team member to praise God. I am very grateful that I have been given the opportunity to share my love of music with everyone in the congregation. Praising the Lord along with the congregation, brings me joy. it is my ultimate goal that together we can exult God with Sacred Music. I have been the music minister at FUMC for four years. Currently, I am also a choir member/cantor at St. Rose of Lima in Meriden. In addition, I sing at the Christmas and Easter concerts at The Holy Family Retreat Center in West Hartford. When I am not at church, you can find me taking care of two wonderful grandchildren. Raised in the Roman Catholic tradition, Kevin joined the United Methodist church in 1994 and has been a member of First UMC Wallingford since September 2000. 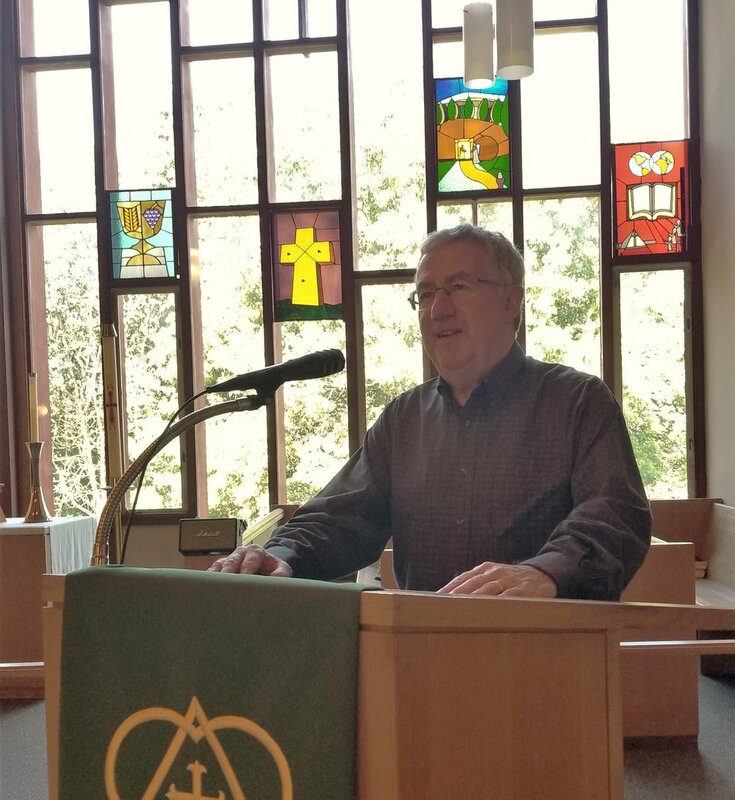 A Certified Lay Servant in the Connecticut District of the New York Annual Conference, Kevin appreciates the opportunities he receives to preside at worship and present the sermon, in the Pastor’s absence, at First Wallingford as well as at other UMC congregations in the Connecticut District. As a disciple of Christ in the United Methodist Church, Kevin developed a love for the study of scripture, especially the four gospels of Jesus Christ. He is active in assisting Pastor Jacob with Sunday worship and in leading Sunday morning Bible and book studies for our adult Sunday school. Kevin also serves the Connecticut District as a member of District Committee on Ordained Ministry. A Certified Public Accountant by trade, Kevin is the father of three adult children, and lives in North Haven with his wife, Joan.